The ADDERView Analogue Enhanced SecureSwitch (AVSC1102) allows a keyboard, monitor and mouse to be shared between high and low security systems, "red and black networks" together with secure smartcard reader sharing. The high density, highly robust, small form factor unit ensures maximized security to prevent the compromise of critical data. Tempest testing is a strict NSA specification and a NATO certification to ensure that sensitive equipment doesn't leak information. 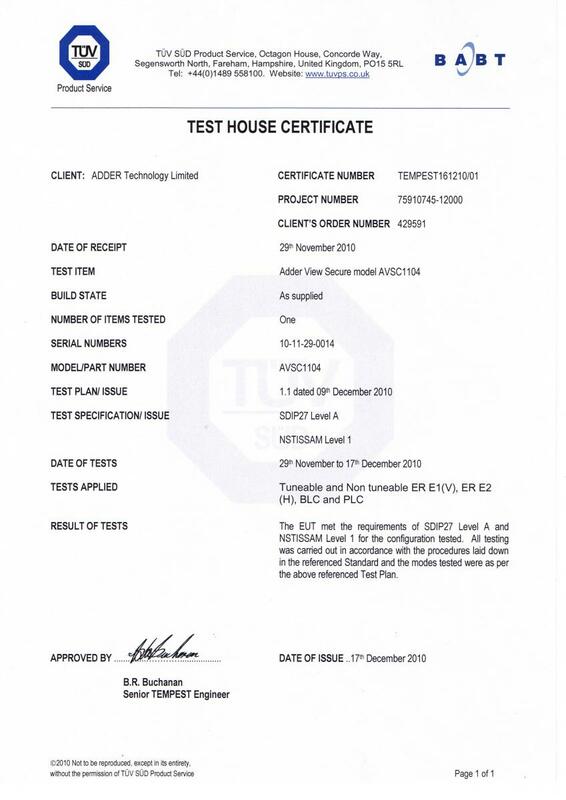 Adder's new secure switch has been tested and qualified to the strictest Tempest standards (USA NSTISSAM Level I and NATO SDIP-27 Level A). This and 80dB crosstalk isolation means that the switches are amongst the lowest leakage KVMs in the world. 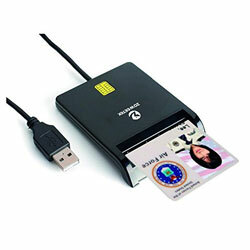 An optional smart card reader can be connected and used in conjunction with user authentication schemes. The smartcard system inside the switch is designed to introduce no greater risk than would be present if each computer had a separate card reader and the card was moved between them. Loss or corruption of authentication security information. AdderView Secure switches provide a trusted mechanism whereby you can confirm the units authenticity. Each AdderView Secure unit has a unique identity code configured within their circuitry. On request, Adder can provide you with an Authentication Certificate. 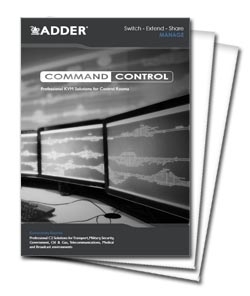 The AdderView Analogue Enhanced Secure switch is heavily shielded with double shielding in critical areas to minimize the risk of eavesdropping equipment being able to pick up signals from the equipment. The switch boasts an amazingly high level of electrical crosstalk isolation that is greater than 80dB, giving further peace of mind. The USB ports will only support keyboards, mice and SmartCard / Common Access Cards (CAC). Other devices, such as USB storage drives, are actively prohibited. AVSC1102 is also known as the AVSC1102-US and AVSC1102-USA.